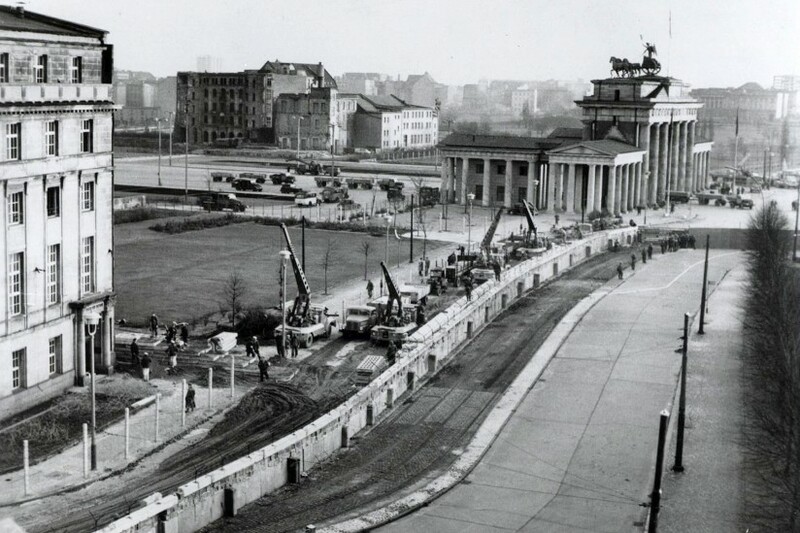 JFK was in Hyannis Port and he awoke to the news that the East Germans in a little over 4 hours during the night had erected a wall surrounded by barbed wire through the heart of Berlin. Despite the summer of escalating tensions in Berlin, Western capitals were flummoxed as to how to respond. Kennedy spent part of the day on the phone with his senior advisers. There was no consensus for making an immediate response to knocking it down.